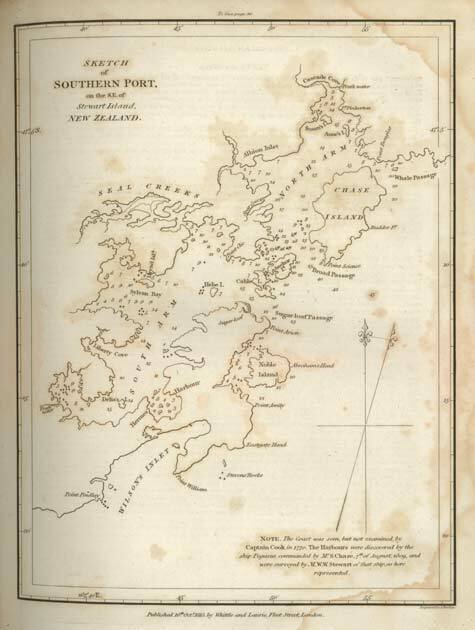 William Stewart, the first mate aboard the Pegasus – and after whom Stewart Island was named – made this chart of Port Pegasus which he called Southern Port, in 1809. The Pegasus spent several weeks under repair in the harbour, giving Stewart time to complete his chart. Port Pegasus/Pikihatiti is the second-largest inlet on the island, after Paterson Inlet/Whaka ā Te Wera.